One of the strategies that my mentor teacher and I experimented with this year was using a Missing Work Log for eighth graders. Since eighth grade is a transition year to high school, and one of the more important skills that students solidify during this year is responsibility and with it, turning work in complete and on time. 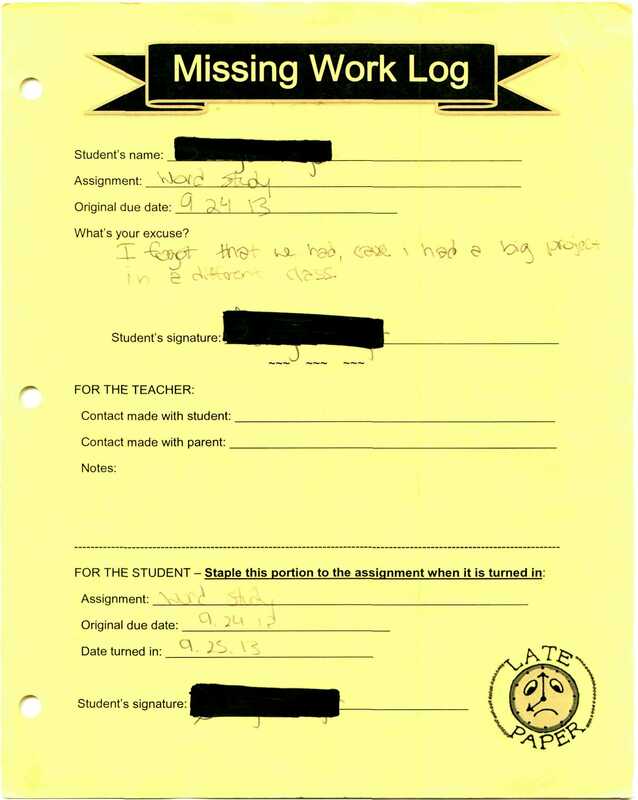 In order to ease students into this transition, my mentor teacher and I began the year using a Missing Work Log, which held students accountable for their missing work and served as a reminder that their work wasn’t turned in on time. An example of the log is below.